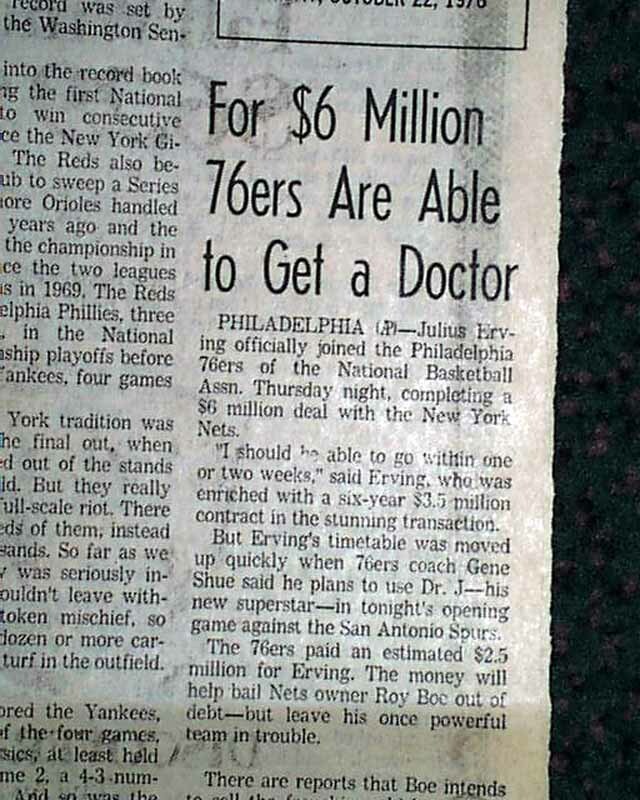 * Philadelphia 76ers pay $6 million to obtain "Dr. J"
The front of the Sports section has, "For $6 MILLION 76ers Are Able to Get a Doctor," which tells of the deal between the 76ers and the New York Nets - giving Philly the rights to superstar Julius Erving. 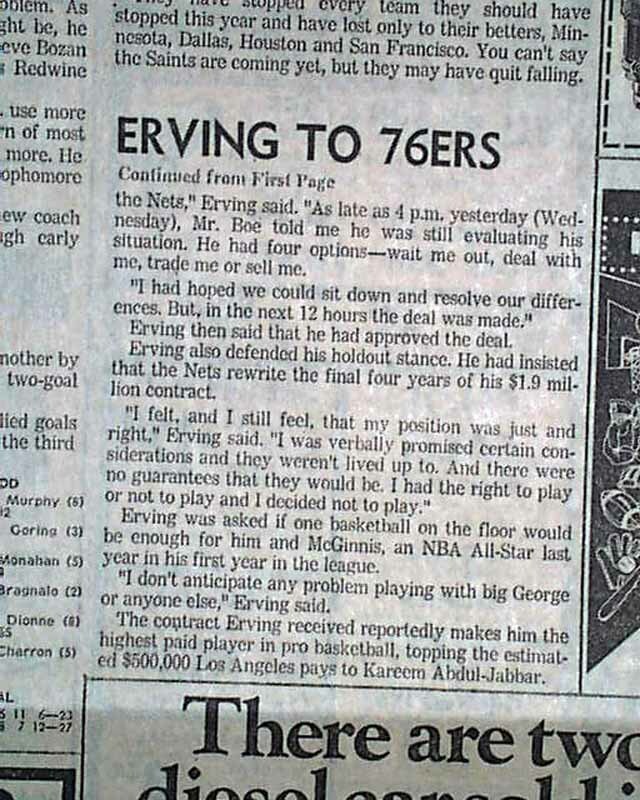 Quite historic for a collector of 76ers memorabilia. 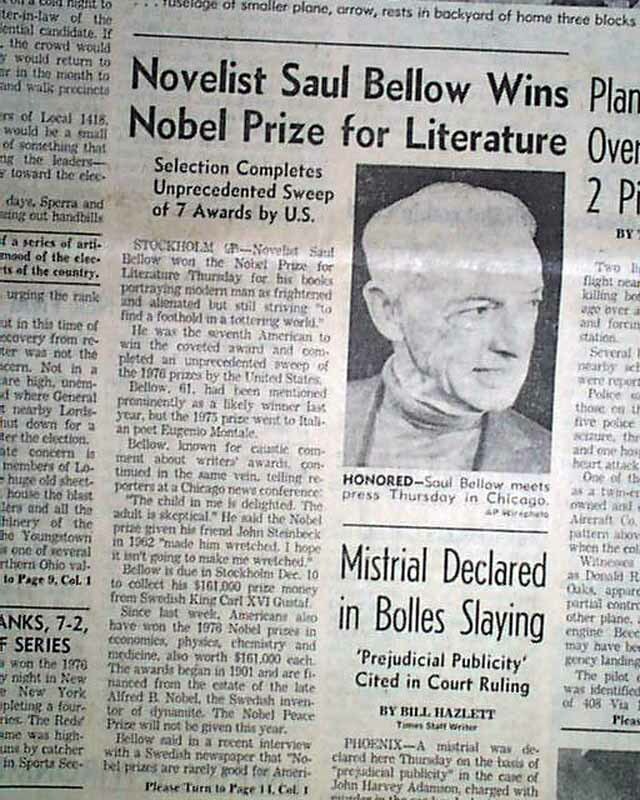 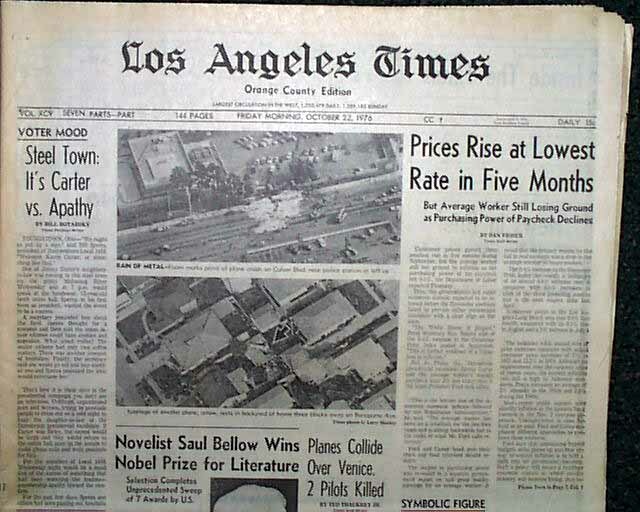 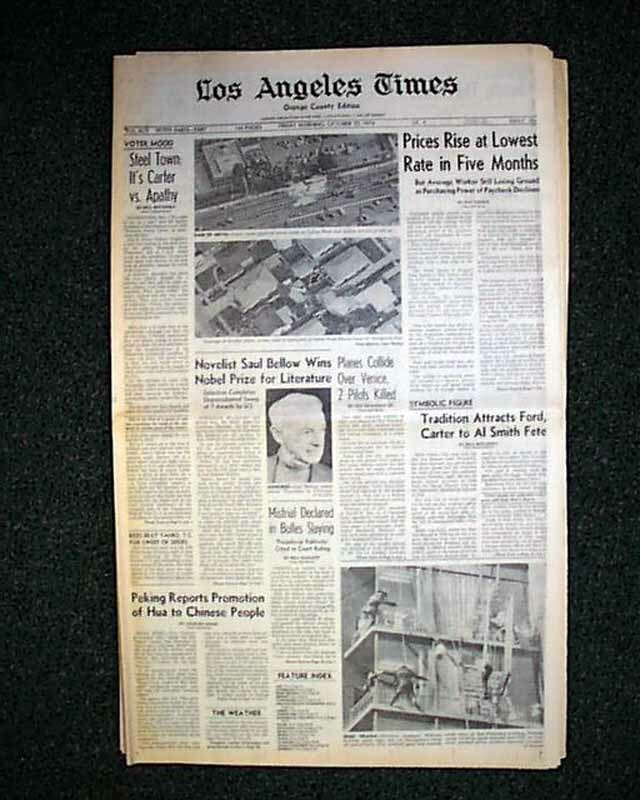 Also present on the front page is the announcement: "Novelist Saul Bellow Wins Nobel Prize for Literature," which includes a photo. 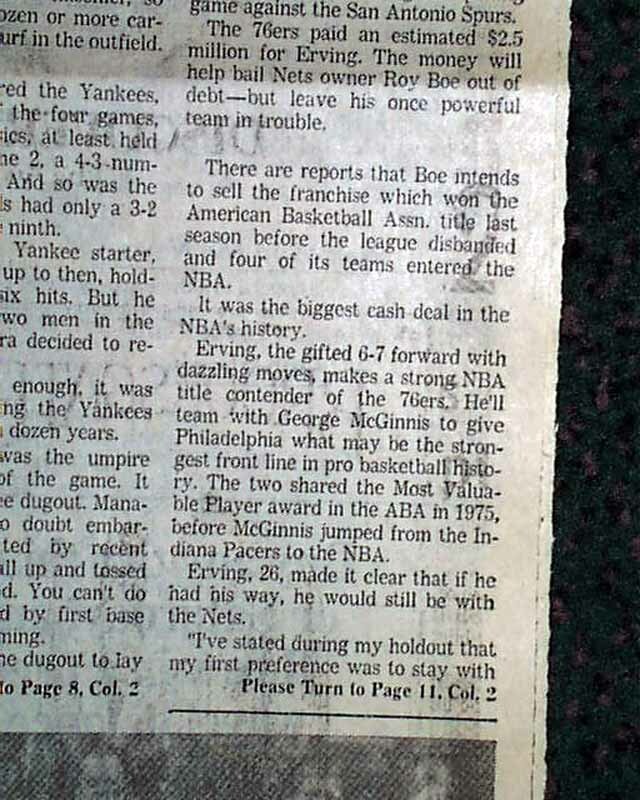 Other news of the day, sports, and advertising is found throughout. 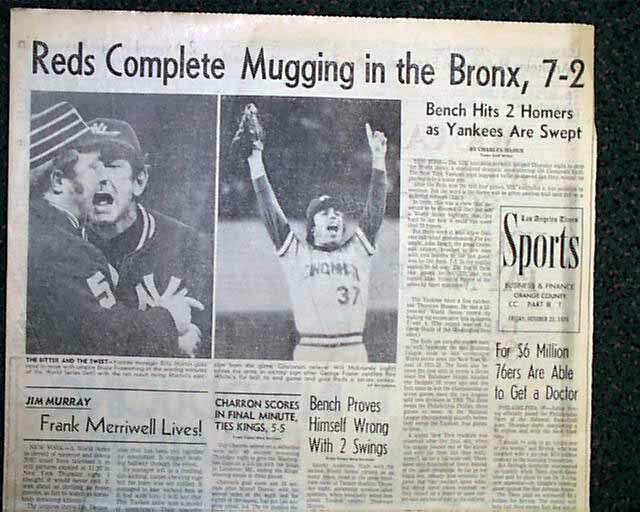 The issue is in very good condition, and contains all major sections (some are excluded), but is being offered for the Dr. J. coverage.